The fashion trends come and go. People can find various kinds of fashion trend these years. Nevertheless, we can make sure that the trend fashion will be different for every season because basically the clothes are made for supporting people facing specific season. Of course people can find the fashion trend for summer/spring and fall/winter categories. The problem can be found when people have to wear something with summer to fall transition fashion. Summer will end very soon but the fall is not coming yet. People still want to wear the fun of summer but they cannot deny the sign of fall. That is why people can combine summer and fall look. 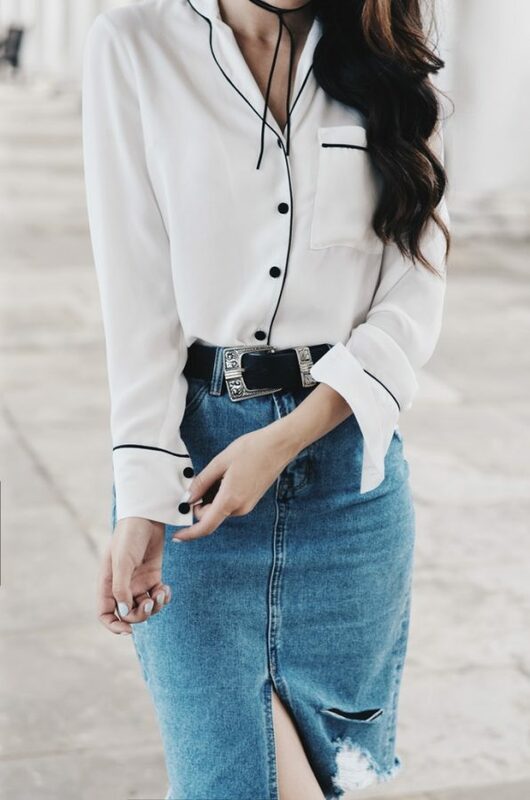 For example, you can wear long skirt which must be great for fall but since it is transition time, you should wear sheer long skirt with mini skirt inside. Maxi dress with soft tone and light material can be used but it should be combined with cardigan and scarf. Coral tone will bring the warmth of fall and it can be combined with flower print dress to keep the summer taste. Little black dress or other mini dress can still be worn but it should be combined with the warmth of jacket or scarf. Boots will be interesting item to be worn in this period.